Join the young king Evan as he sets out on an epic quest to found a new kingdom, unite his world and save its people from a terrible evil. Embark on this unforgettable adventure which blurs the line between animated feature film and video game. 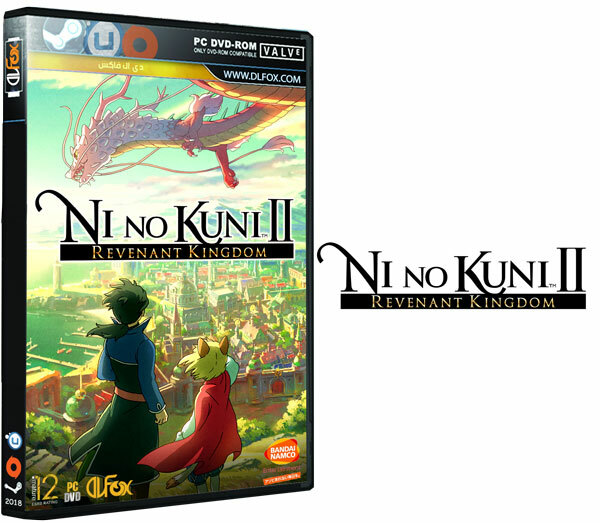 Developed by LEVEL-5, Ni no Kuni II features enchanting character design from the legendary artist Yoshiyuki Momose and a stirring soundtrack composed by the world-famous Joe Hisaishi. Just wanted to let you guys know, Part 1 and Part 2 downloads from OneDrive are 0 Bytes, but Part 3 is 5 GB and Part 4 is 237MB. Hello, Thanks for the upload, but how can I change the subtitles language to spanish? I have resolved the problem, in the install folder, open the steam_emu document and change the language. just want to ask in kbagi link there's two part 4?